Mira Rajput Is Pregnant! And Shahid Couldn't Be More Excited! There has recently been a lot of speculation about whether or not Mira Rajput is pregnant. We've been hoping for her or Shahid Kapoor to finally confirm the news and that moment has come to pass, ladies! At the Udta Punjab trailer launch, Shahid made an announcement that he's going to be a dad soon. Or in his words, "Haan main baap banne wala hoon!" The pride in his voice and his grin after this statement just proves how excited he is about having a baby. We can't wait for the baby pictures now, we can't even begin to imagine how adorable a mini Shahid is going to be! PLUS: Subscribe to POPxo on YouTube for original videos + our favourite videos from around the web! So all the rumours have been put to rest and can you imagine how excited the couple must be right now if we're this excited?! Congratulations, you two love birds! Image Source: Shahid Kapoor on Instagram MUST-READ: 6 Times Shahid And Mira Made Us Go Aww! 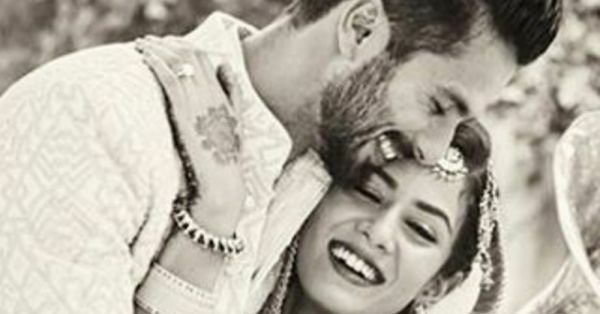 MUST-READ: 5 Reasons We’re Convinced Shahid Kapoor Is An AMAZING Husband!